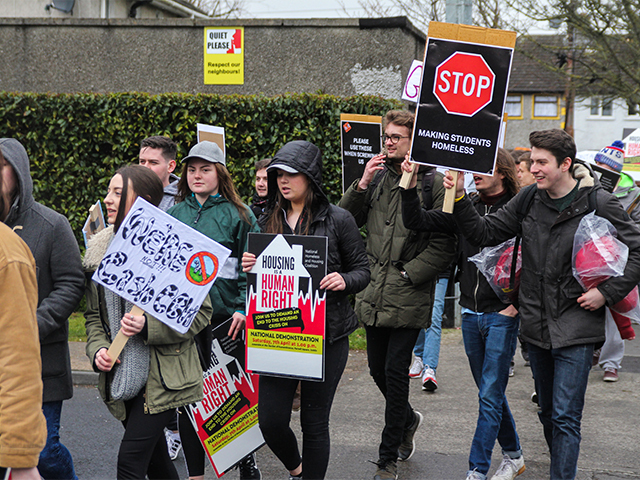 DCU students protested rental increases of over 20 per cent in purpose-built student accommodation around the Glasnevin area. Shanowen Square increased their prices by 27 per cent for the 2018/2019 academic year while Shanowen Halls increased theirs by just over 23.5 percent. The increase brings the total cost to €8695 in Shanowen Square, an increase of €1850. The rent covers from the 10th of September to the 25th May, a period of eight months – meaning rent is the equivalent of €235 a week. Shanowen Halls’ rate is €8,325 for the academic year, which is the equivalent of €225 per week. Both accommodation complexes also require a €400 non-refundable deposit. DCU Students’ Union President, Niall Behan, said that these increases are going to prevent students from furthering their education. 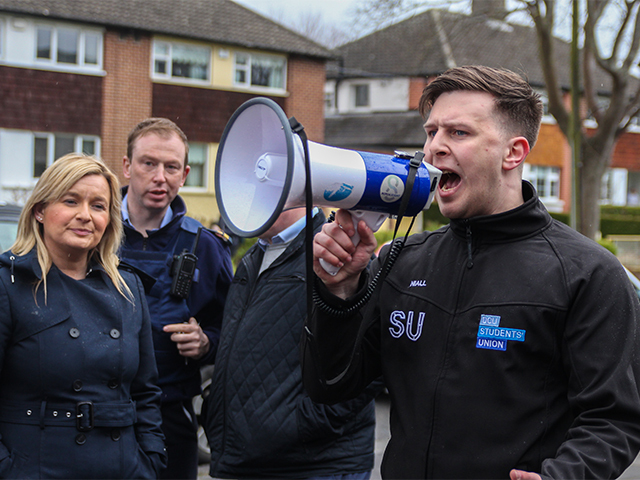 Cllr Andrew Keegan (PBP) supports DCU students in their campaign for a reversal of the proposed rent increases and a commitment from DCU to condemn Shanowen if the increases are not reversed. “€7,000 up to €9,000 for student accommodation is obscene,” he said. “The increase is not even benchmarked with the rate of inflation. Inflation is 2 percent and this is 27 percent. From an economic point of view, it just seems like they’re gauging students. Shanowen did not respond to a request for comment at the time of publication. 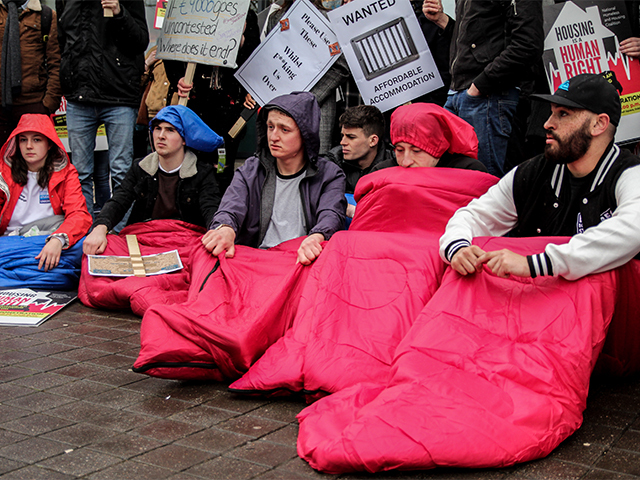 Trinity students were also present at the demonstration in an act of solidarity with DCU students. Craig McHugh, a second year Economics, Politics and Law student in DCU, believes that the Government needs to enact legislation to prevent students from these “year on year increases”.